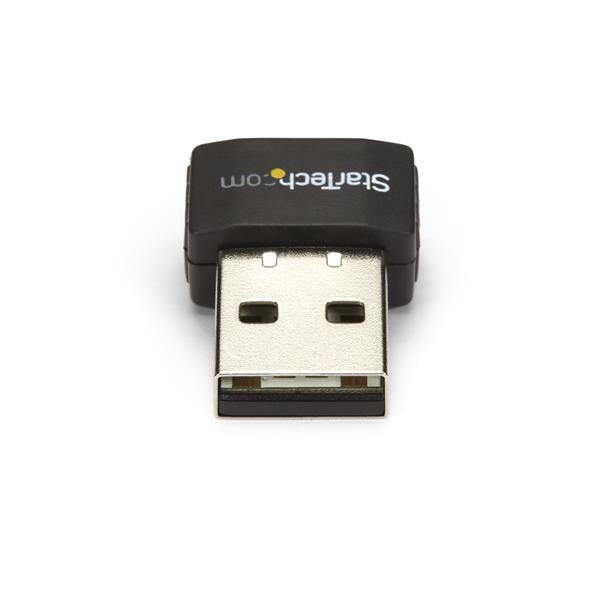 This USB Wi-Fi® adapter adds dual-band wireless connectivity to your laptop, tablet or desktop computer, and features a compact nano-sized form factor. It makes it easy to replace or upgrade your computer’s existing wireless capability with access to both 2.4GHz and 5GHz Wi-Fi® networks. 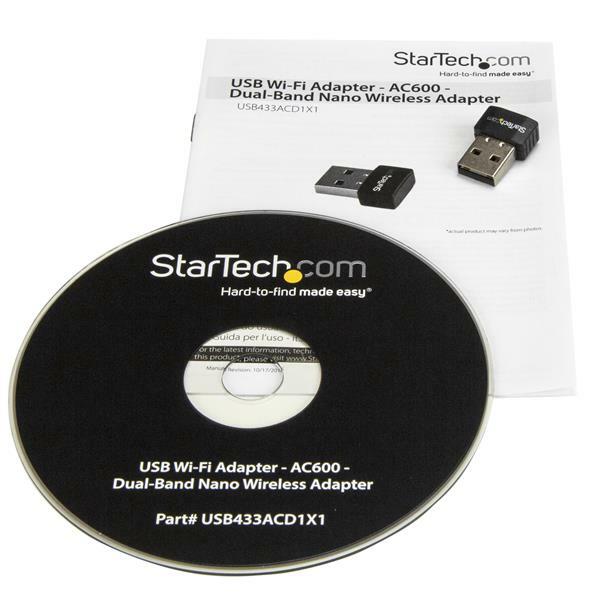 The dual-band USB Wi-Fi adapter adds reliable Wireless-AC connectivity to your laptop, tablet or desktop computer. As bandwidth-intensive applications such as online conferencing, HD video streaming, file transfers and gaming become more demanding, the USB Wireless-AC adapter provides greater speed and range for your office or home wireless network. The dual-band Wi-Fi adapter supports maximum data rates of up to 433 Mbps on the less congested 5GHz band, plus up to 150Mbps on the 2.4GHz band. 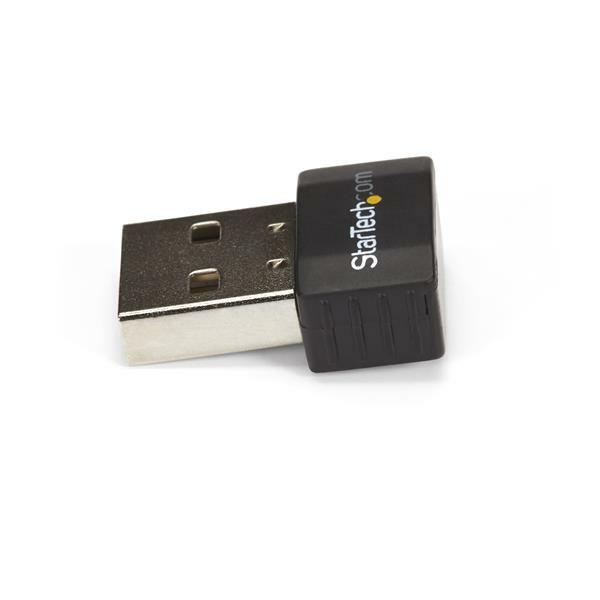 The USB nano wireless adapter features a compact form factor, so you can plug it into your laptop or tablet with minimal obstruction. The perfect accessory for your laptop, the Wi-Fi adapter is so compact that you can leave it plugged in without worrying about it getting in the way or snagging on something while you're on the go. The versatile network adapter features a 1T1R (1 transmitter, 1 receiver) antenna design. To integrate with all of your networking devices, the USB 802.11ac adapter is backward compatible with 802.11a/b/g/n networks. 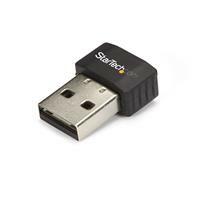 The USB Wi-Fi adapter supports USB 2.0 for wide compatibility. The USB433ACD1X1 is backed by a StarTech.com 2-year warranty, with free lifetime technical support.